It is quite difficult to travel because of tough weather conditions. 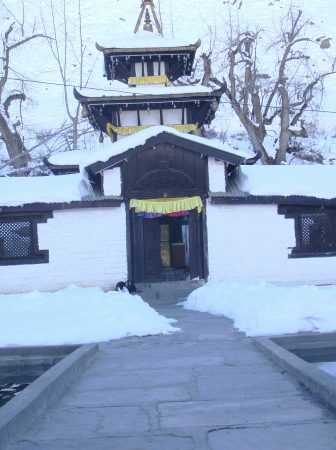 Only those who are willing to undergo physical discomfort and rigor can go to Muktinath. 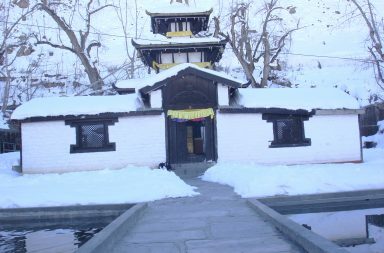 Above all, one should have the Grace of the Lord to visit Muktinath. 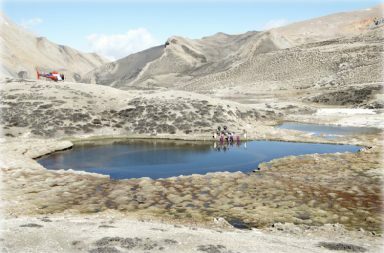 The convenient routes to Muktinath from from Pokhara to Jomsom by flight. 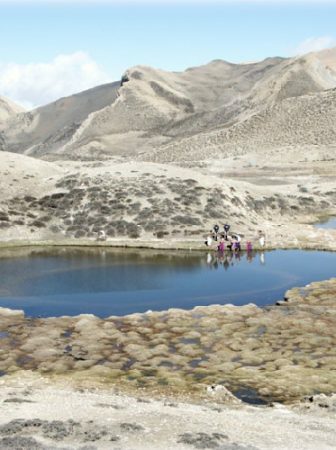 There are many ways to reach Muktinath. 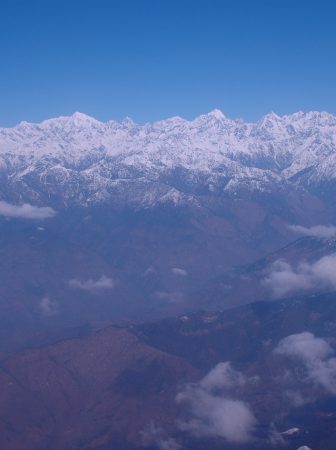 One can fly from Kathmandu to Pokhara and then from Pokhara to Jomsom Airport. 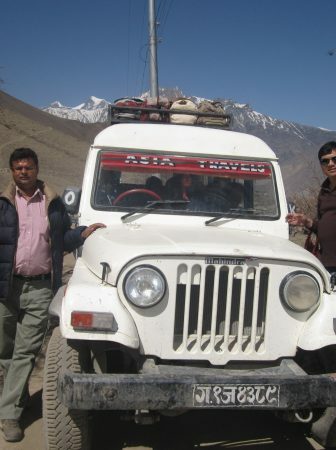 From there, one can take a jeep to Muktinath. From Jomsom to Muktinath it takes 1.30 hrs by Jeep. By Transport: Go by local rented motorbike with driver & by Jeep in about 1.30 hrs. After breakfast drive to Pokhara -210 Km/5-6 hrs, on the way you will visit Manakamana (Hindu goddess of willing) is a temple of one of the manifestations of the Hindu goddess Bhagwati. Bhagwati is believed to have the power to fulfill wishes. Where to go by cable car, it is 2.8 Km from down station to upbeat station It takes 12 min for one way. 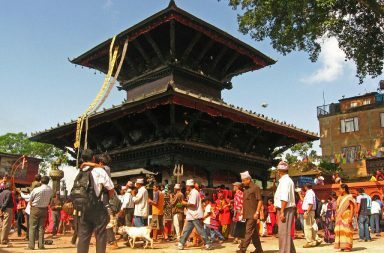 After puja & darshan continues drive to Pokhara, Arrive and transfer to Hotel. Evening free time for individual activities. Overnight. After breakfast, you will proceed to Kathmandu Sightseeing places to visit Bouddhanath, the holiest shrine for the Buddhist culture in Nepal, Budhanikantha is a place of pilgrimage for all Hindus, sleeping Vishnu /Jal narayan, colossal statue of lord Vishnu reclining on a bed of snakes on Water pond. 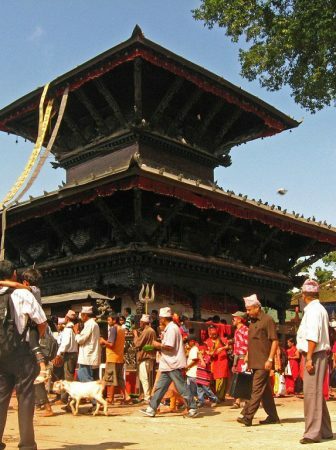 Syambhunath, famous world heritage site with magnificent views of the Kathmandu valley and tribute to Buddhism, Kathmandu Durbar Square (Center of City ). This square is famous for old palaces, temples, Kumari Ghar and another durbar square of Kathmandu valley is Patan Durbar Square is known as the city of fine arts. The square is full of ancient palaces, temples and shrines, noted for their exquisite carvings. The city is full of Hindu temples and Buddhist monuments. And Krishna Temple-Built in the seventeenth century, the temple of Lord Krishna holds a commanding position in the palace complex of Patan – 5/6 hrs and back to hotel overnight.